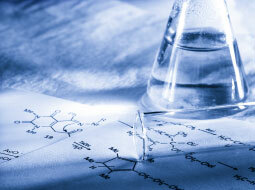 Gain a good knowledge of general, organic and analytical chemistry. This Advanced Chemistry 1 course offers an in-depth exploration of general, organic and analytic chemistry. It examines various topics such as chemical equilibrium, rates of reaction, chromatography and their applications in real-world industries. These tutorials are an excellent complement to chemistry classes for students or for those working in the chemical industry who would like to refresh their knowledge of these topics. After completing this course you will gain a good understanding of the 'mole' concept, used in calculating chemical reations. You will know the procedures involved in volumetric analysis including titration and dilution. You will gain a good knowledge of analysing the chemical reactions of acids, bases and oxides. It will help you to understand analytical chemistry such as qualitative analysis, chemical reactions, gravimetric analysis, spectroscopic techniques and chromatographic techniques. This course will teach you all about equilibrium reactions, dissociation constants of weak acids, Le Chatelier's principle, the use of the pH scale, sulfuric acid and many more interesting chemistry concepts.